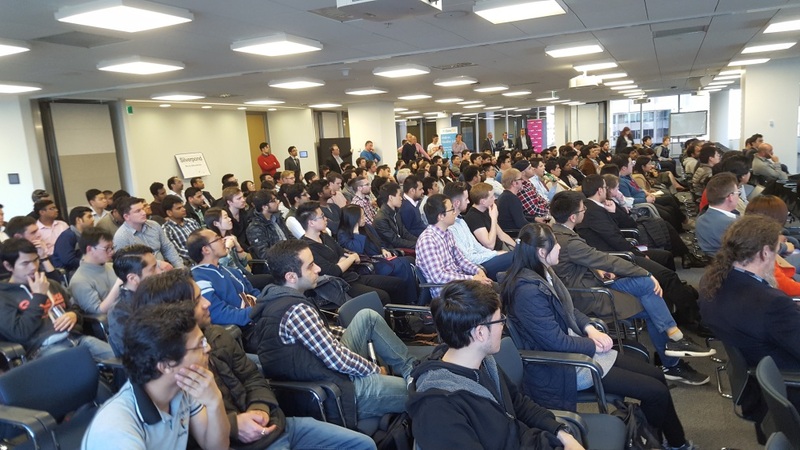 On Monday there was a huge turnout for the “Data-Science Internship Evening” event put on by Data-Science Melbourne at Deloitte. More than 10 companies pitched to a group of over 500 interns about the opportunity to come and work with them as part of an internship program facilitated by the new internship startup PrevYou. Jono and I represented the team this time. In our presentation, we went with simplicity and authenticity. 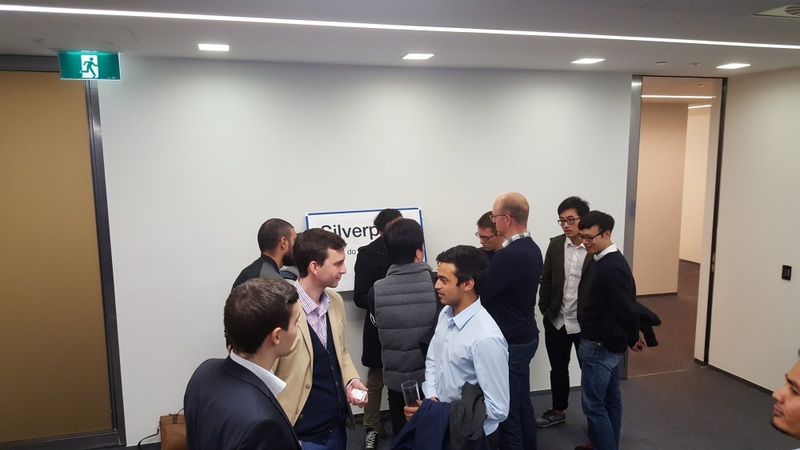 We gave the students a peek into Silverpond and our machine learning work visually, through photos of the many events we’ve run and contributed to. There were roughly 10% undergraduates and 80% post-graduate students in attendance from where I was sitting. (Yuval estimated that there were about 30% undergrad and 70% post-graduates.) This shows that there is a huge well of talent in our city, earnestly looking to get a start in data-science! Silverpond found that a great many of the attendees were very interested in the applications of deep-learning in particular, as neural-networks are going through a renaissance at the moment. We’re very excited to see that whatever happens in the near-future, there won’t be a shortage of talent to help out.